Frank proudly served his country in the United States Navy from 1946-1948 and the Air Force from 1950-1954. He worked for many years at Western Union where he did maintenance on radio towers. Frank was a long time member of Saint Mary Immaculate Conception Catholic Church, AmVets, the American Legion, and was a third degree member council #2969 Knights of Columbus in Mount Vernon. His greatest joy was spending time with his family. Frank was dearly loved and will be missed by all who knew him. 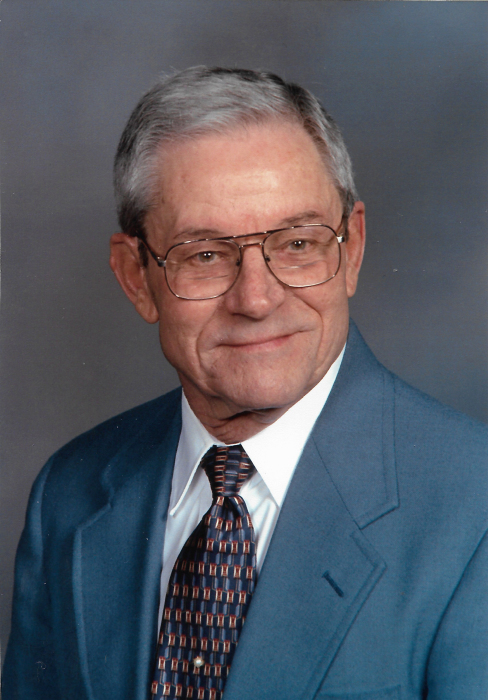 A Visitation will be held Friday, February 15, 2019 from 5:00 P.M. to 7:30 P.M. followed by a rosary service at Hughey Funeral Home in Mount Vernon. A Funeral Service will be held on Saturday, February 16, 2019 at 10:00 A.M. at Saint Mary Immaculate Conception Catholic Church in Mount Vernon with Deacon Mark Kabat officiating. Interment will follow at Saint Mary Cemetery. Memorials may be made in Frank’s honor to the American Cancer Society, Saint Mary Immaculate Conception Catholic Church, or SSM Health at Home Hospice.